The measure of a company isn’t what we say about ourselves, but what our clients say about us. ”Over the past 10 years Hughes Waddell have helped and supported our growing business with friendly, sound advice. The partners and staff always respond very promptly to requests for advice or help but there is never the fear that a timesheet may be ticking away in the background. We have learnt so much from them about how to optimise our business and personal finances. Professionally prepared accounts are a given; it is the feeling that you have a knowledgeable friend on your side that makes the difference. ”As a company owner I have been able to spend 100% of my precious time building a successful business supplying the likes of Crossrail and London Underground, safe in the knowledge that Hughes Waddell are taking care of my day to day financial affairs. ”Hughes Waddell have given us a fantastic service and support as nothing is too much trouble. Stephanie is friendly and helpful and always willing to help with my queries. She gave me 1-1 training on Xero which was really professional and effective. Rachel in payroll has also been a great support and has been proactive in supporting us with general enquiries and the pension scheme. I am always impressed at the quick response to my emails from all the staff at Hughes Waddell. ”Hughes Waddell, Chartered Accountants and Business Advisers have provided services to Pareto Shipbrokers (formerly Derrick Offshore) since 2007 and have proved invaluable to us through various complex management, share scheme and corporate changes. I would highly recommend anyone looking for an excellent accountant to contact them as they have always provided a fantastic service and offer exceptional value too. ”From help with creating and registering our new company in 2001 through to its sale in 2017, along with all legislative changes, tax returns, business advice in between, Hughes Waddell have always been there for us. ”Nothing is too much trouble for this friendly group of accounting professionals to give clear concise and reliable financial guidance. I would definitely recommend. ”We have been clients with Hughes Waddell since starting our business in July 2012. Their advice in all realms of accounting, has been extremely valuable, they not only make my business life so much easier but also make the process simple and hassle free; explaining everything in detail; they give me plenty of notice of when accounts are due and are always on the end of the phone, friendly and supportive when needed, going above and beyond. Rachel is extremely knowledgeable, enthusiastic and breaks information down clearly for the non-financially minded to understand whilst offering me valuable accountancy support consistently throughout the year thus taking the stress factor out of my accounting needs. I would have no hesitation in recommending Rachel and her team. ”It's an absolute pleasure to endorse Hughes Waddell. Our business is celebrating it's tenth anniversary and Hughes Waddell have held our hand from day one giving us guidance and expert advice as we expanded from 5 staff to approaching 40. They efficiently deal with all our payroll and year end accounting in an easy to understand and friendly way. It's great to know that I can pick the phone up and speak to them at any time and will be greeted by a friendly voice who will know exactly who I am and the intricacies of our business. Well done Hughes Waddell, we wouldn't have achieved what we have without you. ”Hughes Waddell have been very helpful in all aspects of setting up and running a small business. I never feel like anything I ask is too much trouble for Steph, even when the questions I am asking are extremely easy for her to answer. The right mix of friendly and professional for payroll and accounting needs. ”I have worked with Nick from Hughes Waddell for 10 years now, from the beginnings of a development company in 2007 to multiple companies, and multiple projects. Nick has always been on hand to advise the best way through, whatever the questions, and has been a keystone of our growth. Always efficient, prompt and detailed with everything from advise, to submitting accounts and keeping up to date with changing regulations. I would thoroughly recommend Nick and look forward to continuing to work with him, and Hughes Waddell. ”I have trusted Nick Dodd and his fantastic team at Hughes Waddell with both my personal and business tax affairs for over 10 years now. I could not be happier with the service they provide or more impressed with the professional manner in which they perform every task. I have no hesitation in recommending Hughes Waddell to anyone looking for a high calibre accountancy practice they can always depend upon. ”HW have acted for my family and our businesses for some 15 years. The scope of these instructions has covered all our accountancy needs plus personal and corporate tax matters including VAT. and general advice. HW have carried out all these duties most efficiently and economically. 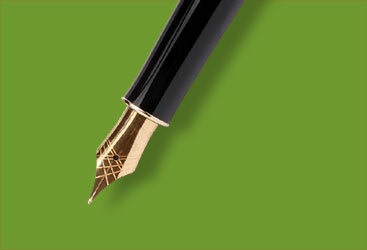 ”Hughes Waddell are a friendly and approachable firm of accountants. They have been able to assist and advise Coubari Limited on a number of accounting and tax issues over the years in a timely and cost efficient way. I would highly recommend them! ”Hughes Waddell was recommended to us by one of their clients in 1996 when I first established my Company. They helped us immensely in the early years, holding our hands through the mire of taxation and company regulations and paperwork. It was like having a friendly family looking out for you, guiding you and making sure that you were legal and above aboard in all your operations ie. Company regulators, tax man and most importantly with your employees. Although we have seen some of the players at HW retire over the years, the high level of service has been maintained. We are pleased to have called them our “Financial Partners” for the last 22 years and pleased to recommend them to others – you are definitely in safe hands! ”My company has used the services of Hughes Waddell for the past several years and I can genuinely say that we have received outstanding services from them and in particular Nick Dodd. He is always very efficient and patient and most importantly proactive. I can not recommend them highly enough. ”An outstanding firm. Personable, professional and always ready to help, I have always found their service to be fast, efficient and accurate. Whenever I have needed help, they have always been there for me with good advice that turns out to be the best course of action. ”Alison and the team at Hughes Waddell were recommended to our company nearly 25 years ago. Not only has it been a pleasure to have them as our accountants, but we have in turn recommended them to a number of our friends and colleagues due to our confidence in the Hughes Waddell team. ”Hughes Waddell have provided Provision Solutions with Accountancy services and advice for more than 10 years. Their knowledge, integrity, professionalism and genuine interest in our small business has been a positive influence in our development. In any business, good relationships are key, to be able to have trust in these relationships is paramount. ”Hughes Waddell has acted for my family’s business and personal affairs for over fifteen years and they have helped us with all aspects of our accounts, corporate and personal taxes, payroll and Vat. They provide an efficient and friendly service and I would not hesitate to recommend them. ”I have known Hughes Waddell for many years and have recommended them to many clients. Every time one of my clients uses Hughes Waddell they have found them to be highly professional, very quick to respond and very competitive when it comes to their fees. 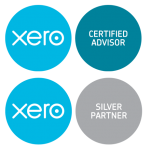 I have personally used them for Accounts preparation, Tax advice/compliance and more recently 2 very successful Xero implementations. I look forward to working with them in the future as it is a great working relationship which has grown from strength to strength over 15+ years. ”Our small management consulting firm has been a client of Hughes Waddell for several years. We have used their services for both company accounts, general tax advice and the preparation of our personal tax returns. Nick and the rest of the team are professional, approachable and responsive and their advice has always been pragmatic, clear and concise. We can highly recommend their services.